Piso Fare Promo 2015: Here's a new promo from Philippine Airlines or PAL. 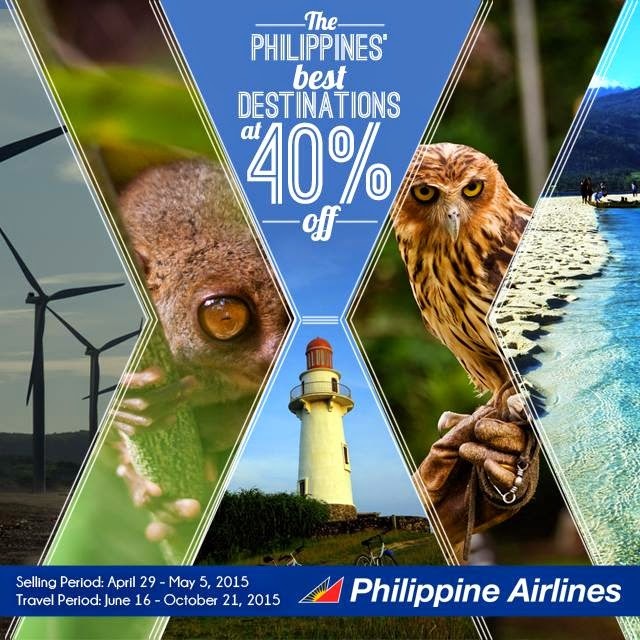 They are offering 40% off on its Base Fare! No Piso fare promo yet but don't let this big discount pass on your next trip when traveling or exploring the tropical country, Philippines! Take advantage of the free baggage allowance, meals and the warm service offered by PAL.